We start slowly into our homeschool year in August, but we’ve been in full swing for about a month now. This is our fourth “official” year and for any of you struggling out there I just wanted to say, it’s finally coming together. And since I’m banging my head wondering why I didn’t think of these ideas sooner, I thought I’d share what’s working for us in homeschooling. For clarification, I’ve got a 3rd grader, a K/1st grader, and a two year old with special needs. I’ve recently started working from home, plus this blog, and a husband who works long, hard days. We’ve got farm animals and community responsibilities and a house that doesn’t clean itself. I know what busy looks like. Actually, I’m quite familiar with crazy. Previously our days were a hodgepodge of schoolwork and housework and disagreements and bribery with a fair amount of getting lost on Facebook and sneaking candy my kids didn’t know about. We learned. But it wasn’t what I wanted. This year it’s finally going better. This year when school starts I quit being mom, housewife, blogger and become teacher. I’m focused, the way I want them to be. Sure, sometimes I run a load of dishes. But mostly I don’t. No computer, no iPad, less phone. I want them to know this is important to me. That mind-set is making a difference. A couple of books I read this summer also helped me rearrange my living space. I really thought about the square footage in our home compared to the use we get out of it. For us that meant converting the home-business office into the school room and a massive overhaul of how we handle paperwork. 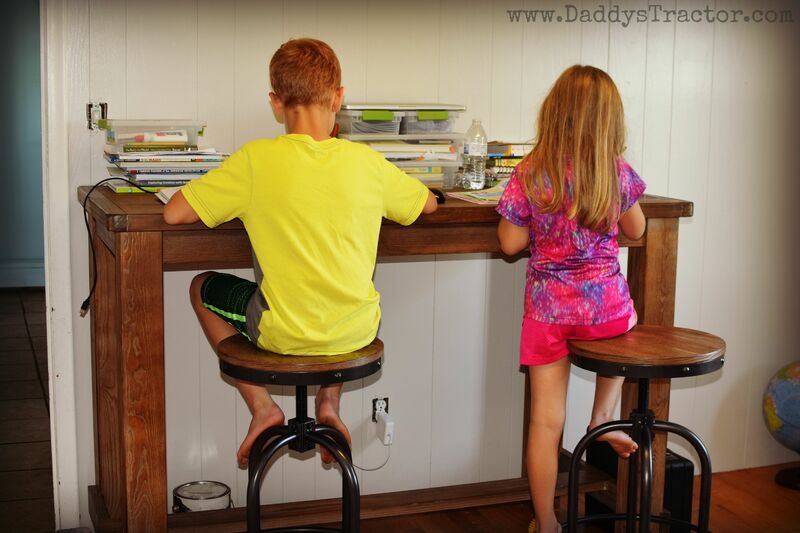 To help with the toddler/homeschool situation I had a garage sale and used the money to put bar-height tables where the office used to be. I now love this whole paragraph. I also took a look at the subjects we must cover (Missouri requires 600 hours in math, language arts, science and social studies) versus important extras (religion, PE, art, etc.). I’m working to combine them in practical ways. My favorite example is journals. 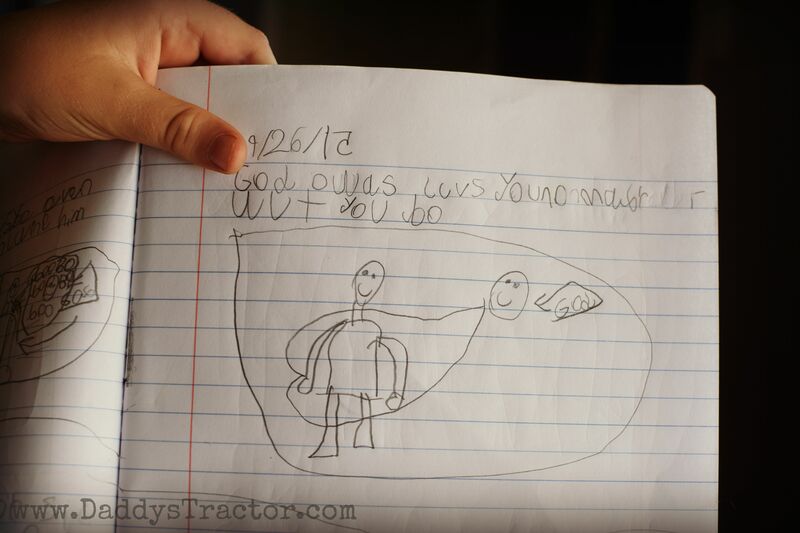 We were writing typical prompts– “what I did yesterday”, “what I like about fall”, etc.. Now we’re journaling everyday in response to our devotion. Same time frame. Same skills. Whole new meaning, and it’s a core subject. One thing I thought was a concession has turned out to be a blessing. I had never used a computer-based teaching programs because, well, I guess I thought homeschooling meant I should be doing the teaching. But homeschooling is so much more than subjects. By using Teaching Textbooks for math I have more energy to devote to phonics or to make a social studies project happen or to help them create their own cookbook just because they want to. 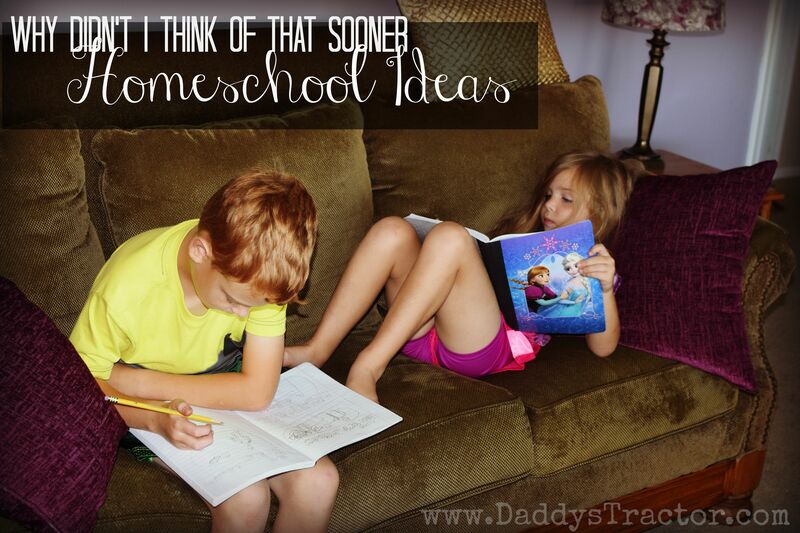 What made homeschool click for you?